There is no prep course for our first solo trip to New York City. It can be a pleasurable memory. Often a milestone. Whether we are from a farm, a factory town, or the infamous suburbs, the City’s sights, sounds, and smells congeal and we realize we are someplace like no other. 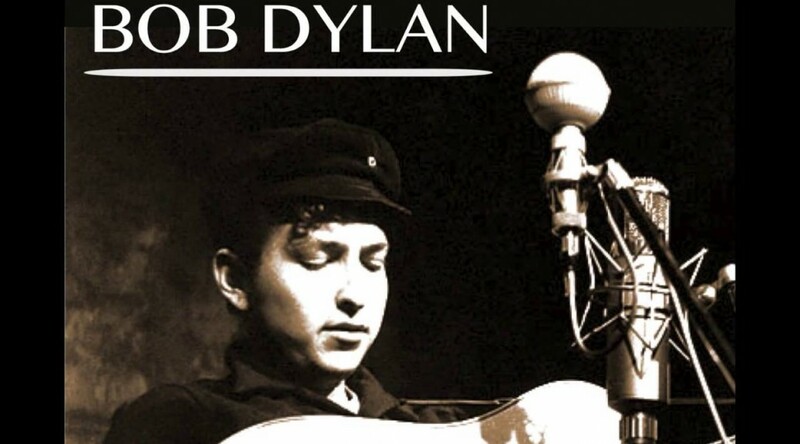 On January 24, 1961, Bob Dylan arrived in a snowy New York City. He found his way to Greenwich Village and to a half-filled Cafe Wha?. Hootenanny night. Dylan asked the owner, Manny Roth, if he could perform — and he did, playing a short set of Woody Guthrie songs. In the following weeks, Dylan would appear occasionally at the coffee-house, playing harmonica behind Mark Spoelstra and Fred Neil, writer of Dolphins and Everybody’s Talkin’. 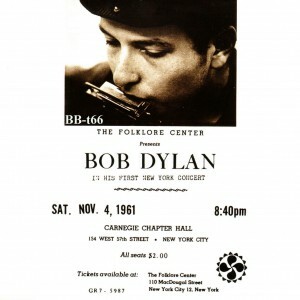 By the end of 1961 he would perform his first concert in New York City. And of course by then he had memorialized that first visit like no one had before in Talkin’ New York. It’s what is known as a talking blues song. Some people used the style because they couldn’t sing; others used it because it had a special impact on the words. Let’s be kind and say Bob used it mainly for the latter reason.